We have hosted our annual "Bulldawg Bash" for the first Georgia Football game of the season for 8 years! We create some of the best memories that will last a lifetime. 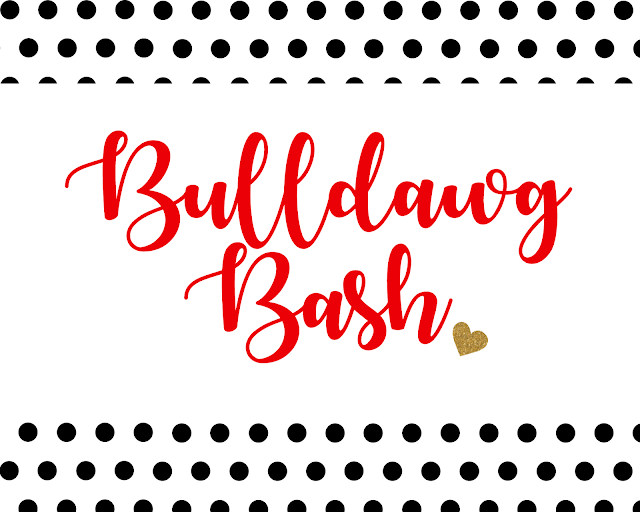 We hosted our annual Bulldawg Bash this past Saturday. We enjoyed our coffee.... Hello college football season! And we took a few pictures! Duke wanted in on the photo fun! When Addison got to the house they girls made a "Photo Booth"
Y'all know I am always on the look out for UGA! We love our Sandy D! I didn't go all out this year like previous years! Bulldawg wine glasses were a MUST! and my baby bulldawg my friend, Susan made me! Another Bulldawg Bash in the books! and Home of Malones for Thoughts for Thursday.